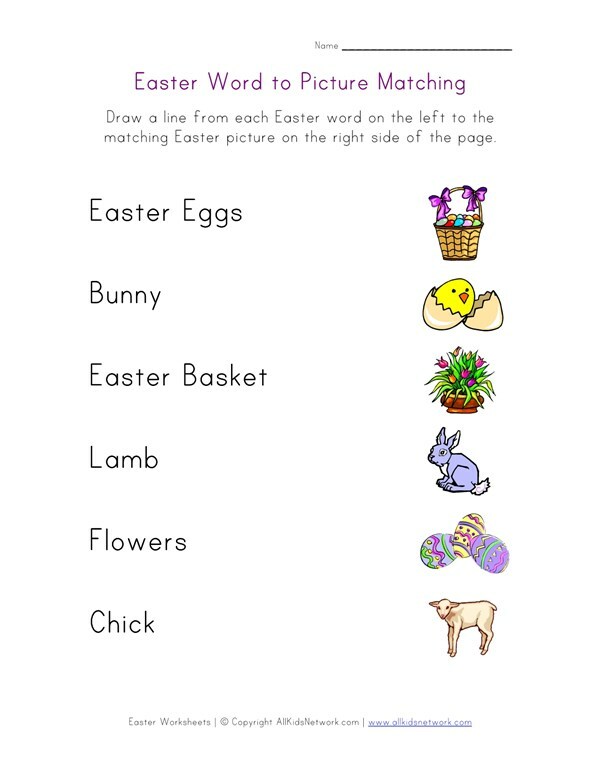 Children will enjoy learning with this printable Easter worksheet. 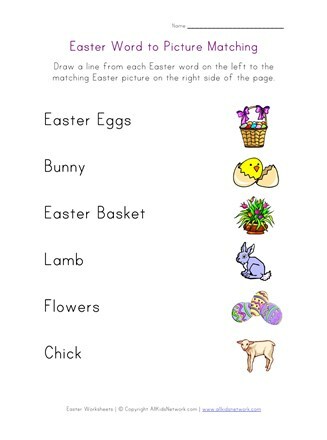 Kids are asked to match the Easter words on one side of the page with the Easter themed pictures on the other side by drawing a line to connect the two. Print this worksheet out with the rest of our Easter worksheets to do with your kids!